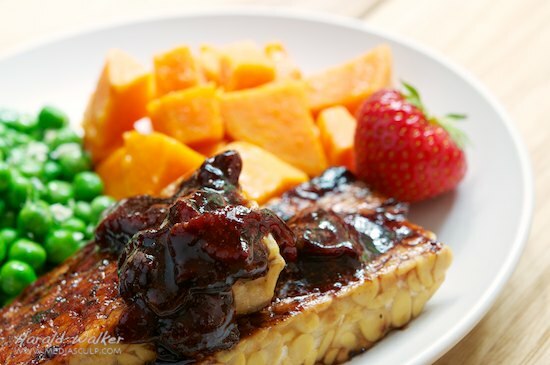 This strawberry balsamic sauce was a lovely compliment to the tempeh. The meal tasted very nice with the sweet potatoes and peas. It was simple yet filling and full of flavor. Clean, hull and chop the strawberries. Add the sugar and allow the juices to draw from the strawberries for about 10 minutes. Place the strawberries and their juices in a small sauce pan. Add the balsamic vinegar and place on simmer. Reduce to a thick syrup about half the amount originally. 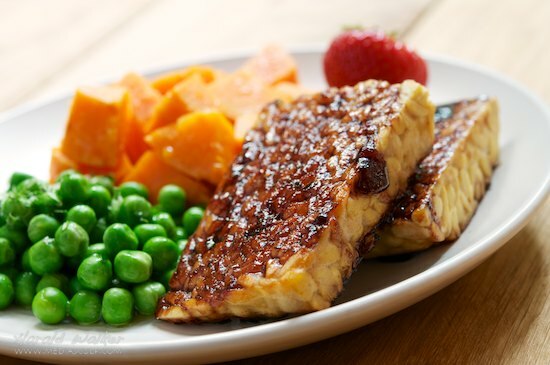 Slice the tempeh into 4 individual sized portions. Lightly oil a frying pan or grill. Pan fry or grill the tempeh lightly on both sized until lightly golden brown. Lightly dust with salt and pepper. Then spoon a bit of the glaze on each side. Serve with your favorite potatoes or rice and a lovely green vegetable. 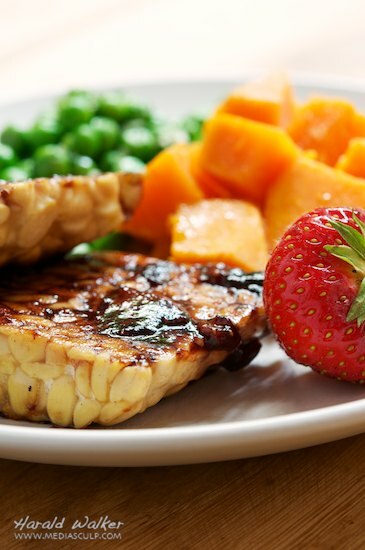 Posted by Chris Walker on July 23, 2012 in Main Dishes, Strawberries, Tempeh.